Price action trading is more than just price patterns like Engulfing candlesticks and Head & Shoulders. Price action traders often overlook a crucial aspect: the volatility of price. How much the market moves is as important as how the market moves. 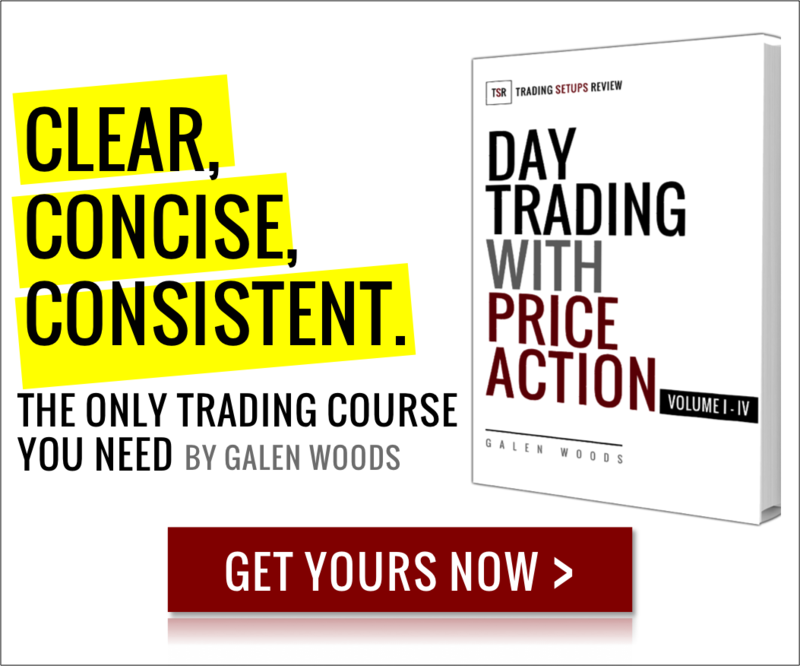 In this concise guide, you will learn how to include volatility in your price action analysis. The tool we will use is the Bollinger Bands. As you can see below, Bollinger Bands are elegant lines driven by price fluctuations. The standard value for N is 20. 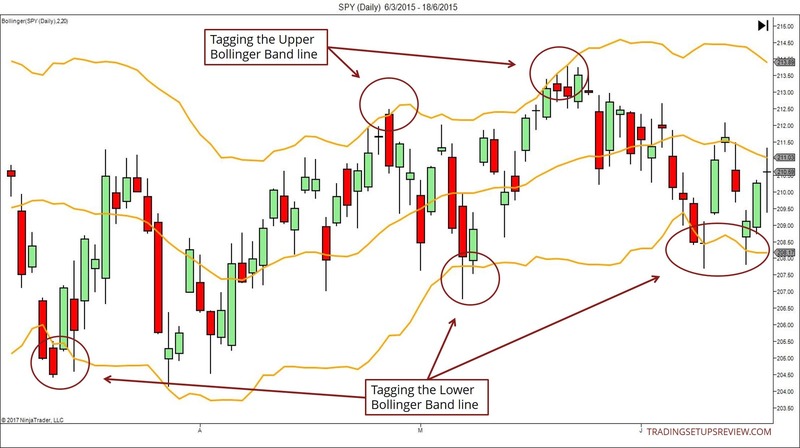 Bollinger Bands create an envelope around a moving average of price. And the width of the envelope depends on the price volatility. 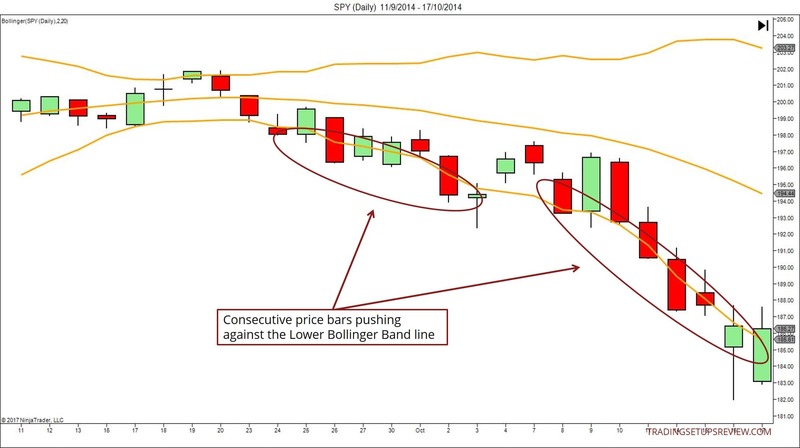 Bollinger Bands expand and contract according to the standard deviation of past price action. Hence, the Bollinger Bands help you to read price action in the context of its recent volatility. In a nutshell, its interaction with price reveals valuable trading information. Let’s take a closer look at each scenario. Here, you’ll learn how each situation ties in with different trading strategies. The market is moving sideways. It confirms a lack of volatility. And the market is trapped within a trading range. This market is ideal for scalpers who are aiming for small profits. The Gimmee Bar setup is an excellent example of using the Bollinger Bands to profit in a sideways market. You can enhance its performance by looking for reasons to support a sideways market. E.g., Just before the release of significant economic data, the market tends to move sideways. During that pre-release period, consider taking quick trades by fading moves within the Bollinger Bands. Continuous price bars pushing against the Bollinger Bands show a powerful breakout. It confirms market strength. It tells you not to fight the trend unless you want to trade contrarian. This occurrence comes along with an expansion of the Bands. It is normal to see this after a price breakout. If you are riding on the surging price swing, you’re in for a rewarding ride. You can attempt to join the breakout by entering the market when it breaks out of the Bollinger Bands. The most straightforward way is to buy when price breaks out of the Upper Bollinger Band Line. Or, like the chart above, you can sell when price breaks out of the Lower Bollinger Band Line. In a sideways market, this trading method might lead to many whipsaws. Hence, for a safer entry, consider waiting for a price bar to close beyond the Bands before entering. 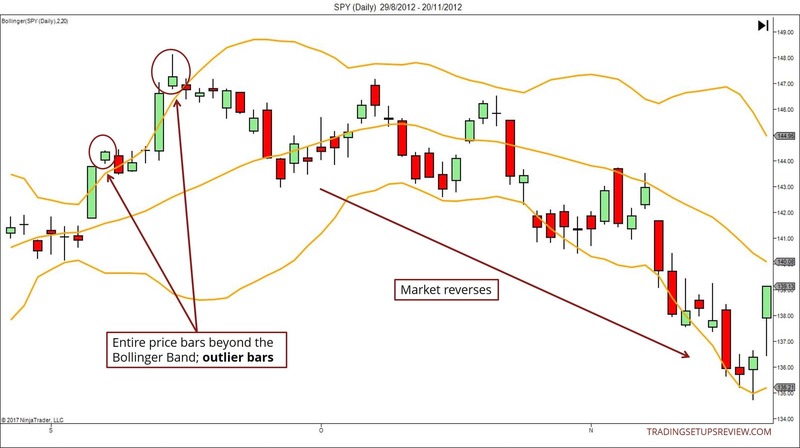 For more examples of using Bollinger Bands for breakouts, look at this trading strategy. It uses the MACD and the Bollinger Bands with a shorter period to find breakout trades. John Bollinger designed the Bands to contain most price action under normal market circumstances. Hence, an outlier bar completely beyond the Bands is rare. This formation is also unsustainable. Price cannot stay beyond the Bollinger Bands for long. It will soon snap back within the Bollinger Bands. This snapback reaction will take the form of a reversal or retracement. Thus, if you are a reversal trader, you should pay attention to this scenario. When you see an outlier bar above the Bollinger Bands, consider a bearish reversal trade. In the same vein, an outlier bar below the Bollinger Bands suggests a bullish reversal setup. As with any other trend reversal signal, you should not give it too much weight in isolation. Take a reversal setup only if you find supporting signals. For instance, look for a volume surge that implies a weak market ready to reverse. In fact, many cases of price leaping beyond the Bollinger Bands are also exhaustion gaps. Hence, you can apply the same rules of analysis you use for trading exhaustion gaps. This unusual formation is not just helpful for trading reversals. It is also an excellent tool for profit-taking. Let’s say you’ve managed to catch a bullish breakout and are in a long position. An outlier bar above the Bollinger Bands gives you a strong reason to take your profits. Even if the market does not reverse, it is likely to move sideways. Hence, even if you think that the market will not reverse, it’s wise to exit the market with an outlier bar. After that, you can usually re-enter at a better price. The traditional price action framework uses support & resistance and price swings for context. As a result, price volatility is often ignored. But with Bollinger Bands, you can recover this neglected aspect in your price analysis. You can read price action within the context of its past volatility. In the hands of a skilled trader, this simple envelope adds depth to price action analysis. Great article, BBs always been my favorite and only required indicator. Glad to help. Sounds good! Using only one indicator is a solid way for in-depth learning. Better to be an expert with one useful tool than to know the names of a dozen tools you don’t know how to use. I would like to compliment you on your trading setup reviews as the best of the best. Thanking you with kind regards and may God bless you. Thank you so much for your kind words. All the best to you!